Left: A bush plane comes around to inspect its 'airstrip'-- a cleared and mostly flat gravel bar in the middle of the Hulahula river. 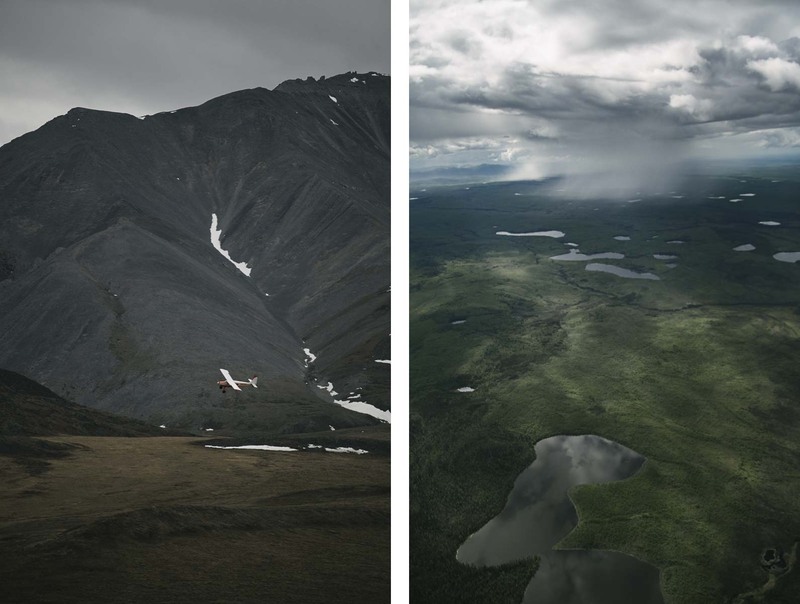 Right: A microburst drenches the taiga of the southern Arctic Refuge. Summer here is brief, and Arctic plants take advantage of the undending daylight for maximal growth.